Are you looking for a shade tree that will grow quickly and add visual interest to your yard? Then B. Rocke Landscaping can help! Below are some examples of trees that grow more quickly than most. These trees are also hardy and hold up well in our Winnipeg climate. Keep in mind; fast-growing trees do not generally live as long as other varieties. Hybrid species tend to flourish quickly. Willow Trees: (see above) There are many species of the Willow family that grow quickly and to a large size. Their multi-stemmed branching is very appealing. Willow trees love water and are able to survive flood conditions. Freeman Maple: A hybrid Maple tree with red-orange autumn foliage, Freeman Maple trees are less common in Winnipeg. Their Hardiness Zone ranges from 3 to 4. They are not particular to specific soil types and are adaptable. Lombardy Poplar: A tall, narrow specimen with golden leaves in the fall. This tree is beautiful but often short-lived. 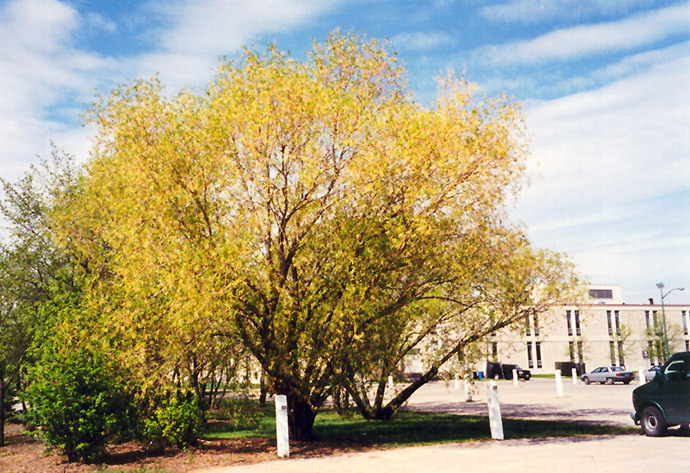 Hybrid Poplar: A large tree used for windbreaks and shade. This tree requires regular pruning and maintenance. It is not suitable for planting near buildings due to its aggressive root system and weak branches, but is adaptable to different soil types and water conditions. Still need some help deciding what kind of tree you want? Interested in seeing more? At B. Rocke Landscaping, our experienced designers can help you make these decisions. Whether it is selecting a tree for shade, accent, or privacy, we have options for every project. We also offer custom-built pergolas and privacy screens. Take a look at our project galleries for more inspiration! For the Love of Bees!